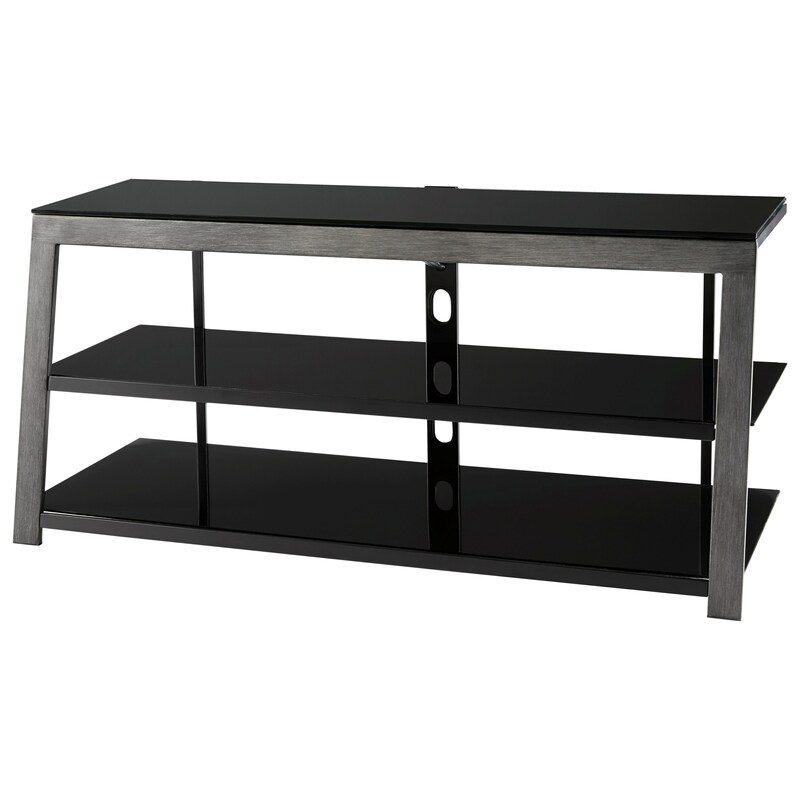 Height (bottom to top) 22"
Storage Top and shelf frame support black tempered glass for a cantilever contemporary design. Wire management support bar for a clean look. Case Construction Made of metal tube with a two-tone finish application. Leg frame is finished an aged silver tone and the top and shelf frames are finished in black. 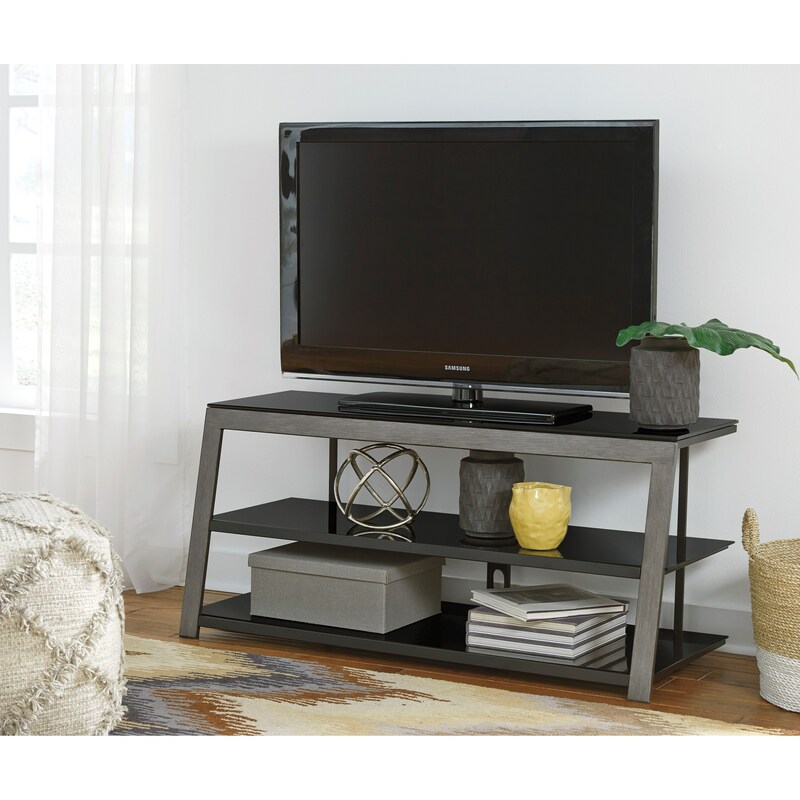 Clean lines and contemporary style are offered by this TV stand. It features metal construction for the aged silver finish front frame, while the top and two shelves are black tempered glass.